The winner of the International Garden Photographer of the Year - Competition 11 - is Marcio Cabral with 'Cerrado Sunrise'. 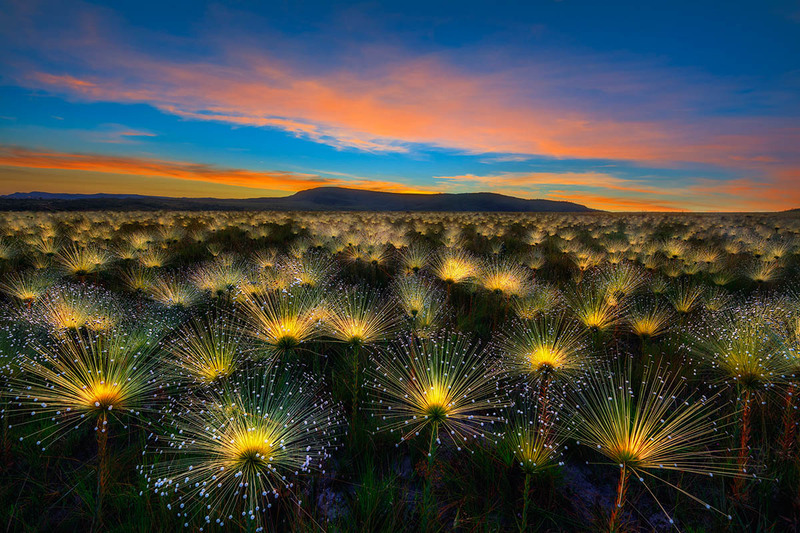 "Marcio has captured a spectacular vision of plant life in the cerrado, displaying the beautiful flowers of Paepalanthus chiquitensis, stretching out on countless filaments towards the first light of the rising sun. It is artistically and technically brilliant, deploying superb use and understanding of equipment, post-capture processes, colour and exposure. It has the ability to make us feel novelty and wonder, as if experiencing plant life on this planet for the very first time. As ecosystems such as the Brazilian cerrado are under threat, this image urges us all to document, understand and protect our vulnerable landscapes, with even greater passion." Congratulations to everyone who won awards and thank you to everyone who took part in the 11th annual IGPOTY competition. Choose the images to see web galleries and choose from the results list on the right to see the full results.